Dr. Andrew Yuen graduated from The Chinese University of Hong Kong (CUHK) obtained with BBA and MPhil degrees. Later, he obtained his PhD Degree of Transport Economics from Sauder School of Business, University of British Columbia, Canada. Currently, he is a Senior Lecturer of Department of Decision Sciences and Managerial Economics, CUHK. His main research interests include aviation and maritime economics, industrial organisation and applied econometrics. He published academic papers in various international peer-reviewed journals, including Journal of Transport Economics Policy, Journal of Air Transport Management, Transport Research Parts A and D, Maritime Policy and Management and Pacific Economic Review. Dr. Yuen was appointed as Assistant Dean of CUHK Business School, and Co-director of Integrated BBA Programme, between 2012 and 2014. 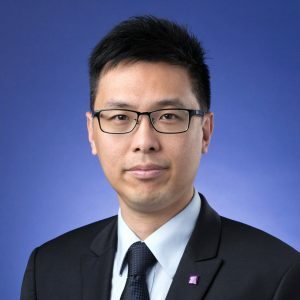 Since 2014, he has served as the Associate Dean (General Education), SHHO College, and the Associate Director of Aviation Policy Research Centre of CUHK. Andrew Chi-lok Yuen, Z. Lei, C. Chow, and Michael Ka-yiu Fung (Forthcoming), “Could the market power explain bub premiums,” Journal of Air Transport Management. Kan W. H. Tsui, Andrew Chi-lok Yuen, and Michael Ka-yiu Fung (2017), “Maintaining competitiveness of aviation hub: Empirical evidence of visitors to China via Hong Kong by air transport,” Current Issues in Tourism. Andrew Chi-lok Yuen, A. Zhang, Y. V. Hui, L. C. Leung, and Michael Ka-yiu Fung (2017), “Is developing air cargo airports in the hinterland the way of the future? ” Journal of Air Transport Management, 61, 15-25. Y. Wan, Andrew Chi-lok Yuen, and A. Zhang (2014), “Effects of Hinterland Accessibility on U.S. Container Port Efficiency,” International Journal of Shipping and Transport Logistics, 6(4), 422-440. Andrew Chi-lok Yuen, A. Zhang, and W. Cheung (2013), “Effects of Ownership, Competition and Hinterland on Container Terminal Efficiency in China and its Neighboring Countries,” Transportation Research Part A, 49, 220-231. Y. Wan, Andrew Chi-lok Yuen, and A. Zhang (2013), “Urban Road Congestion, Capacity Expansion and Port Competition: Empirical Analysis of U.S. Container Ports,” Maritime Policy and Management, 40(5), 417-438. Andrew Chi-lok Yuen, A. Zhang, and W. Cheung (2012), “Port Competitiveness from the Users’ Perspective: An AHP Analysis of Major Container Ports in Asia Pacific,” Research in Transportation Economics, 35(1), 34-40. Andrew Chi-lok Yuen and A. Zhang (2011), “Unilateral Regulation and Greenhouse Gas Emissions: The Case of the Airline Industry,” Transportation Research Part D, 16, 540-546. Andrew Chi-lok Yuen and A. Zhang (2011), “Airport Congestion Pricing and its Welfare Implications: The Variable Passenger Time Cost Case,” Pacific Economic Review, 16(1), 83-102. Andrew Chi-lok Yuen and A. Zhang (2009), “Effects of Competition and Policy Changes on Chinese Airport Productivity: An Empirical Investigation,” Journal of Air Transport Management, 15(4), 166-174. Andrew Chi-lok Yuen and L. Basso (2008), “Effects of Gateway Congestion Pricing on Optimal Road Pricing and Hinterland,” Journal of Transport Economics and Policy, 42(3), 495-526. Andrew Chi-lok Yuen and A. Zhang (2007), “Strategic Trade and Transport Policies with Congestible Facilities,” Asia Pacific Journal of Accounting and Economics, 235-258. A. Zhang and Andrew Chi-lok Yuen (2008), “Airport Policy and Performance in Mainland China and Hong Kong.” In Aviation Infrastructure Performance: A Study in Comparative Political Economy, edited by Clifford Winston and Gines de Rus, Washinton, D.C.: Brookings Institution Press. Andrew Chi-lok Yuen and A. Zhang (2008), “An Economic Perspective on Recent Corporate Governance Developments in China.” In Changing Corporate Governance Practices in China and Japan: Adaptations of Anglo-American Practices, edited by Masao Nakamura, U.K.: Palgrave Macmillan, Houndmills.